It was time for our 4th and final Visa (Border) Run for the year. Although we are going back to the states next month, our 90 days are up on 4/21 and since I never like to wait till the last minute -- we headed off to Nicaragua last week. We also went to Nicaragua on our 1st trip but as you might recall, I HATED it! I swore I would NEVER go back, however we needed a place to go that we could get to fast and also not spend a lot of money. I am pretty much over doing visa runs via long automobile and/or bus rides and instead prefer to fly. My second requirement is that it be someplace on our "go to" list. To save money we rode the bus to the airport -- cost $3 (compared to $60 by taxi). 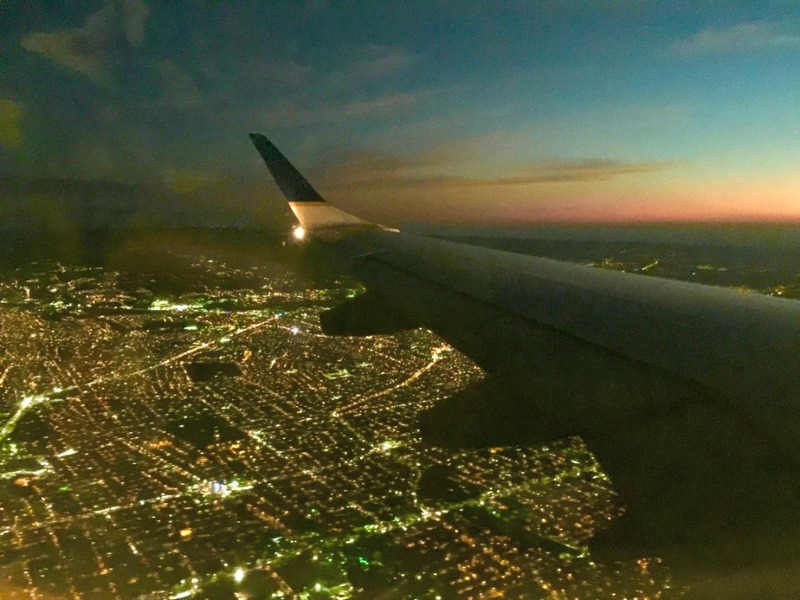 We took an early evening flight (5:45pm) out of SJO (Juan Santamaria) to MGA (Managua) -- $166 each roundtrip on Compañía Panameña de Aviación, S.A., or Copa Airlines for short. Also BTW folks SJO Airport is not actually located in San Jose (people always think it is and rightly so). The airport is in Alajuela which is about 30 minutes outside of San Jose and about a $30 taxi ride. Keep that in mind when you are making plans to visit. The sun was setting and it was a beautiful evening. The flight takes less than an hour! I mean really, in 38 minutes we were descending. Didn't even get a chance to finish my tea! We flew into Managua which is located on the southwestern shore of Lake Managua. There is another lake you will see before arriving in Managua -- Lake Nicaragua is huge and drains into the Caribbean Sea. Managua is a very big city with a population of about 2.5 million people. The airport is tiny although it is the 5th busiest airport tin Central America. 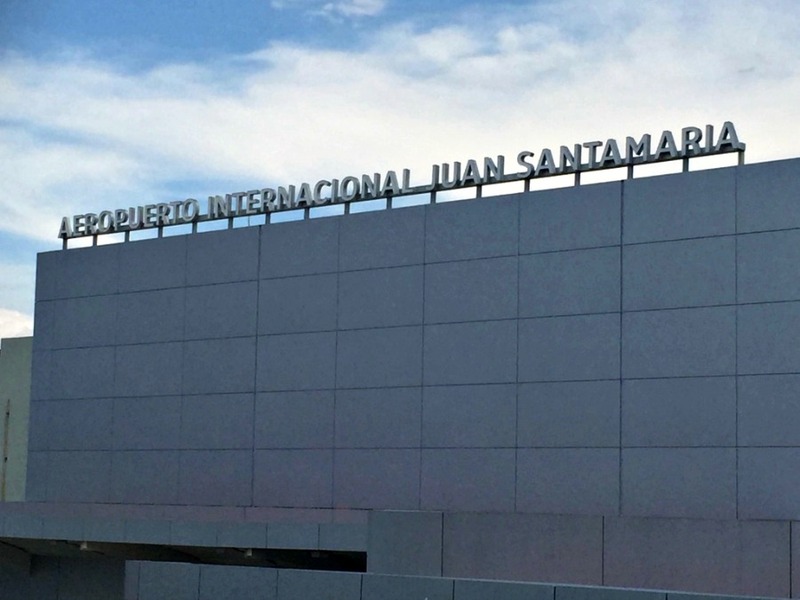 Augusto C Santino Airport is the main joint civil-military public international airport in Managua. 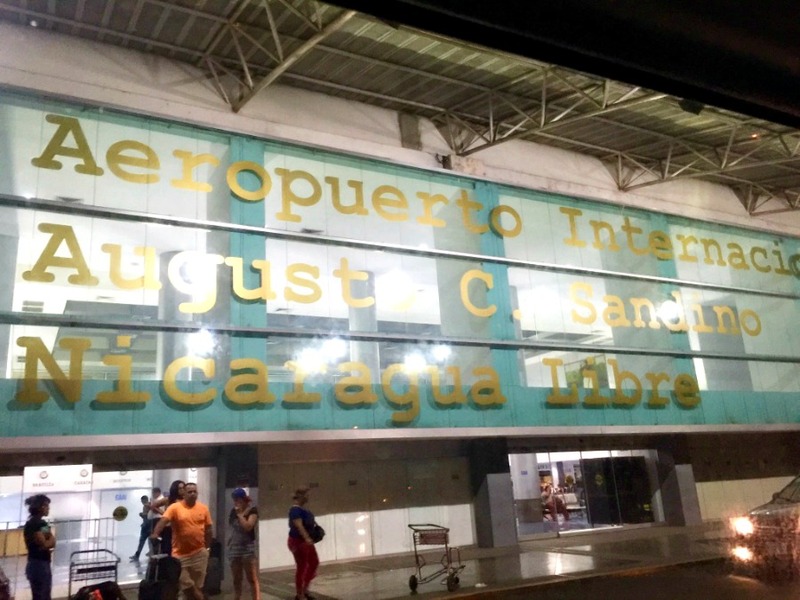 The airport is named after Nicaraguan Sandinista revolutionary Augusto Nicolás Sandino. 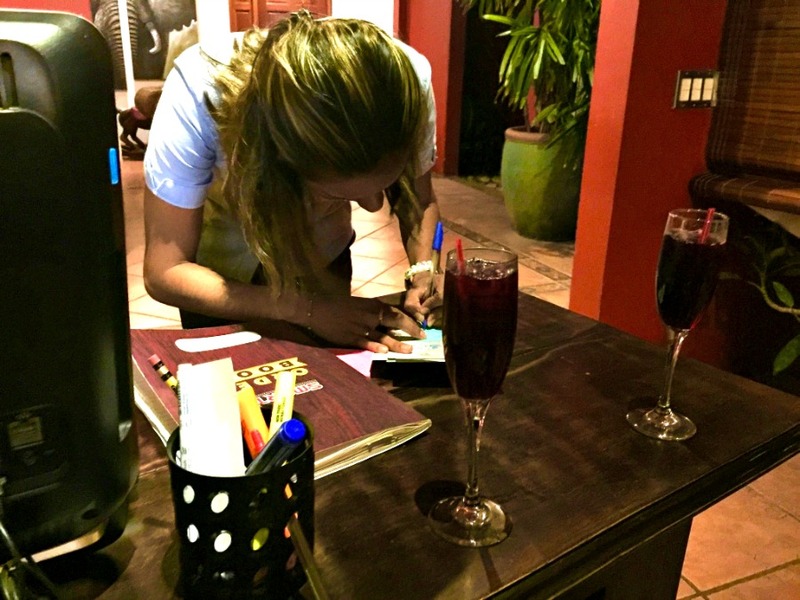 (you will pay a Nicaragua Immigration entry fee of $10) . 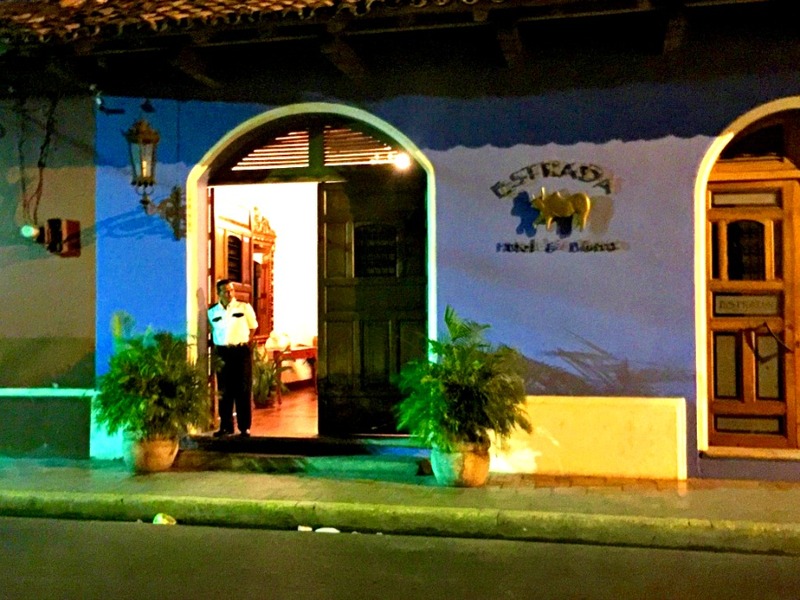 As do most tourists, we skipped Managua and headed straight for Granada. The hotel was an hour from the airport. They sent a driver to meet us. He was right there with his sign when we exited customs. We especially did not want to play around with transportation because we were arriving at night and had no prior knowledge of the city so we went ahead and forked over $52 for the private airport transport. The cost was $120/night (the hotel has 4.5 ✰ on TripAdvisor). 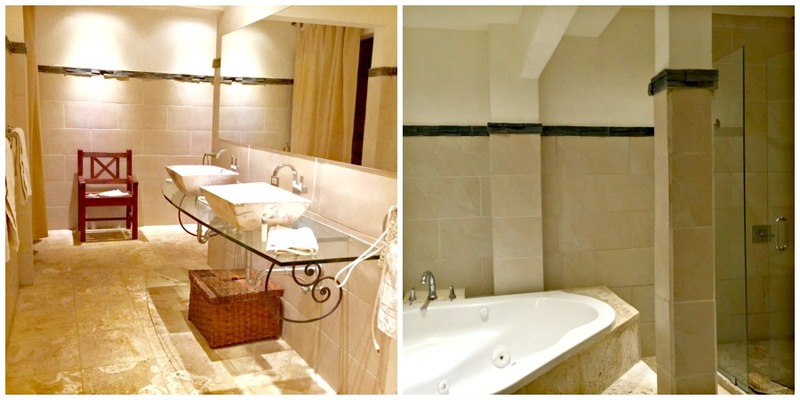 Very nice hotel, centrally located, great service and an excellent restaurant. We booked 2 nights. Upon check-in we were greeted with 2 cold, refreshing drinks! **A quick note - For those of you who will be making these runs when you arrive in Costa Rica. You can certainly do them for cheaper. I prefer to turn mine into mini vacations and I am very particular about the rooms we stay in and the services (a must are - hot water, flushable toilets and clean drinking water) so generally I select hotels that are at least 4⭐. We are in Central America after all, and 4 stars here does not always equate to 4 stars in the states.